My friend, Mahesh Chennupati aged 28 was suffering from brain fever in Mallya hospital Bangalore, India. 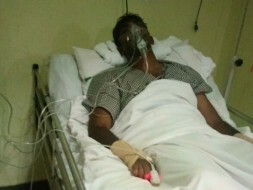 He has treated for normal fever for few days initially, But later after looking into his health condition (He slowly went to unconscious state) doctors suspects this behaviour is not just the cause of normal fever and they decided to investigate more with MRI scan and additional lab tests . 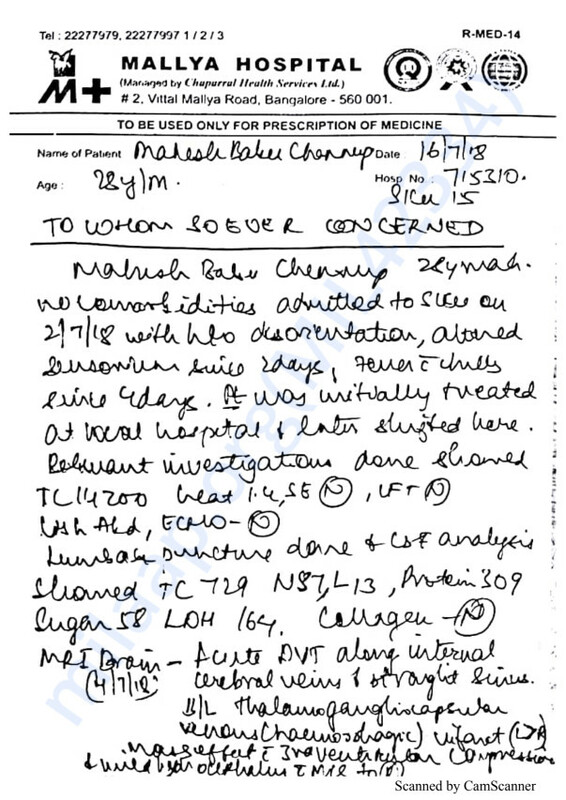 Unfortunately they found his lab reports are not normal because of the Protein C deficiency , It causes clots in brain blood vessels with Meningitis(infection of brain coverings) with fluid accumulation in brain spaces also they observed he has the weakness (right hemiparesis) all over right side which is similar to paralysis and his thrombophilia profile is positive because of which his response to treatment is minimal. No surgery will helpful to get rid of his situation so Medications (anti-coagulants steroid injections) with antibiotics and injections shall be going on under the ICU surveillance (24*7). Mahesh father Chennupati Narasimha Rao was died in the year of 2015 (Road accident) , His mother was suffering from cancer and just completed the chemotherapy (5 months back). As his recovery time will be extensive (treatment of 2~3 months must need as doctors are saying to come out from the present stage) more 15 lakhs will be required for the treatment, We are asking for your help to ease their family burden, and to show them that even though this journey has only just begun, they will always have our support. Please consider donating what you can and also please offer prayers for my friend for his speed recovery. The support we are receiving is humbling and truly incredible.